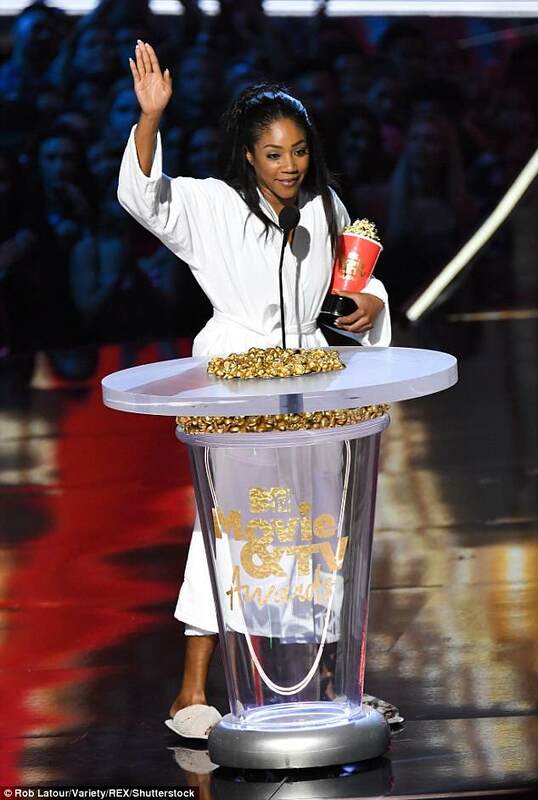 American actress and comedian, Tiffany Haddish is certainly the host with the most as she rocked a Meghan Markle-Inspired wedding dress to host the MTV Awards. The iconic actress left no stoned unturned as she rocked nine outfits through the show hosted at the Barker Hangar in Santa Monica, California. 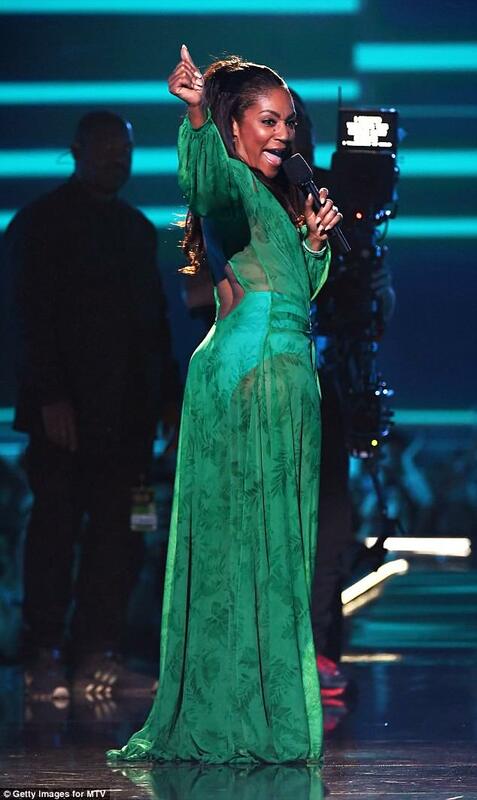 She made history as the first female comic to host the MTV Movie & TV Awards. 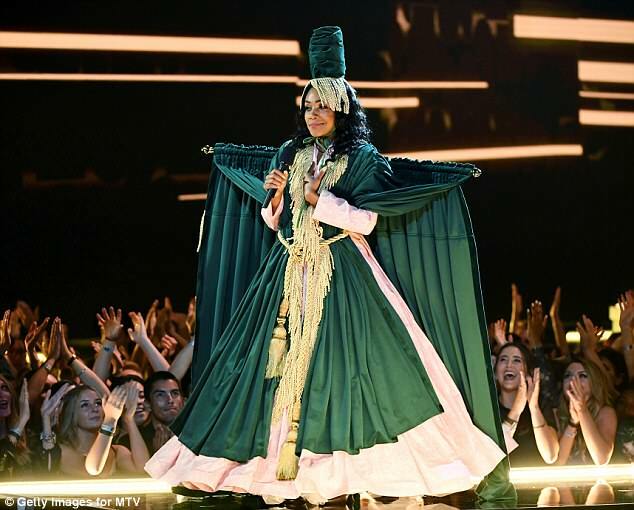 To kick things off at the show, she became the ‘Black Unicorn’ in a hilarious opening video segment, defeating Chadwick Boseman in a Black Panther combat scene complete with cameos from Queen Latifah and Jada Pinkett Smith. Later in the evening, she gave a salute to the royal family as she wore a dress similar to that Meghan Markle wore to marry Prince Harry on May, 19 at Windsor Castle. Haddish’s representation of Meghan’s wedding dress matched perfectly.